This koala wine glass charm will hug the stem of your wine glass and won't let go. While this koala holds tight to your wine glass you'll never wonder which one is yours again. These wine glass charms make great gifts for family and friends here and overseas. 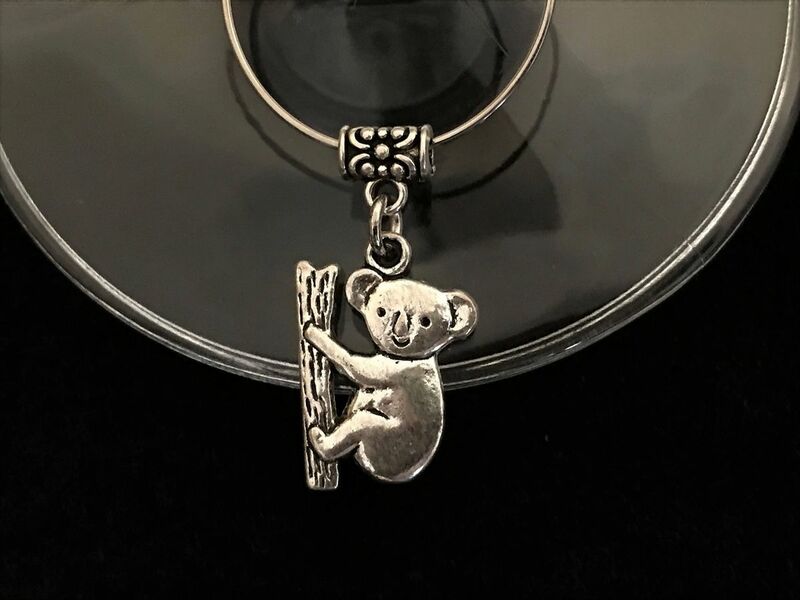 The charm is 11mm L x 3mm W x 21mm H. This koala is made from Tibetan silver and made into this beautiful wine glass charm here in Australia. Koalas are often mistakenly called koala bears. Koalas are simply known as koalas and they are marsupials like a kangaroo. They have a pouch like a kangaroo where they raise their young, also known as joeys. Did you know koalas have opposable thumbs and finger prints just like we do?